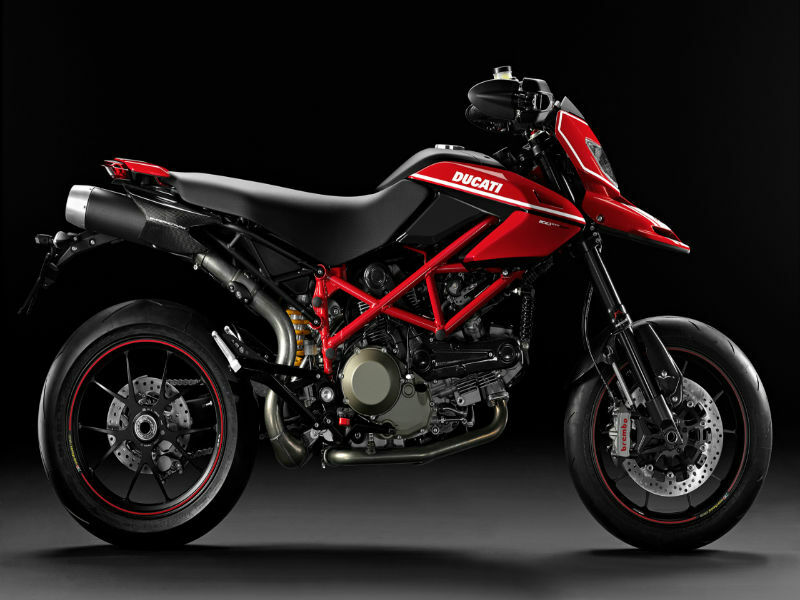 The super stylish and aggressive bike Ducati Hypermotard 1100 EVO SP works as that special machine which as the racy power along with its tough body. With the light weight body and super corner turning ability the bike is best for any terrain region and is best for people who love to drive like a crazy. Although the vehicle is designed for the greater performance and higher speed with all the advanced features the appearance of it is also simply stunning and is highly appreciated. The 1100 cc, L twin cylinder with Desmo air cooled technology has been appreciated a lot. The engine comes with restyled cylinder head with improved inlet and well designed combustion chamber to burn the fuel competently thereby increasing the fuel efficiency. The lighter materials used in the construction of the engine is other biggest advantage. The maximum power output from this potent engine is about 69.9 kW at 7500rpm and the peak torque achieved is 105 Nm at 4750rpm. The power generated reaches the wheels of the bike through 6 speed transmission gears. The tough, naked looks of the bike's sleek body entertains every passerby and also serves as one of the attractive bikes in the world. 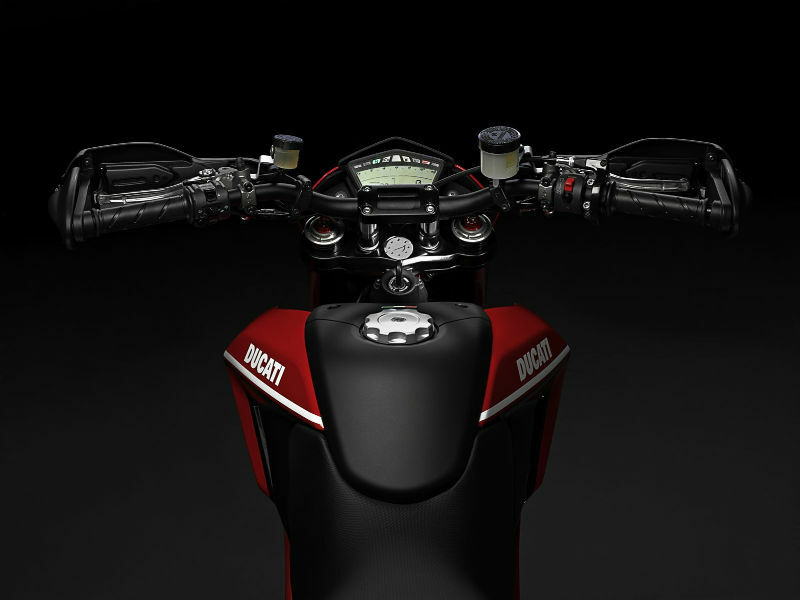 The trendy design of the exhaust, sporty look of the headlamp and comfortable seats adds a great style to the bike. The extensively designed instrument panel displaying the all the data including the speed, time, revolution, oil etc makes the rider know everything about the bike he is driving and this makes his work easy. The improved frame work, larger wheel base, bigger tyre size, comfortable seating and pioneering chassis technology assures that the bike gives greater grip to the rider. The suspension of the bike including the front Marzocchi 43mm usd forks and the rear progressive linkage with adjustable sachs monoshock and aluminium single-sided swingarm make sure that the rider enjoys the jerk free drive even off-road. The disc brakes both at the front and the rear wheels are other biggest plus point of the vehicle as it promises sudden halting of vehicle even at higher speed. With all the latest technology and efficient cooling system this bike offers a good mileage on and off road. 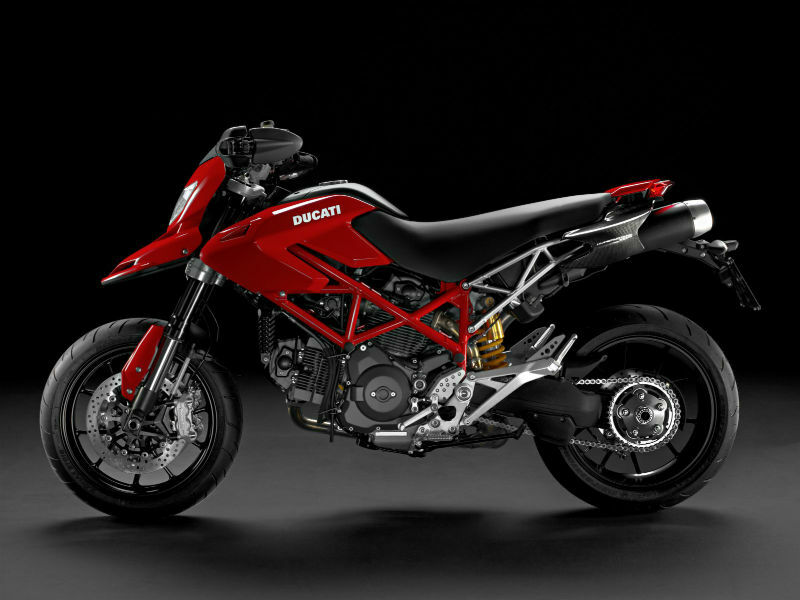 The trendy and attractive bike Hypermotard 1100 EVO SP is available in Corse color. The ex-showroom price of this vehicle is about Rs. 17,99,000.